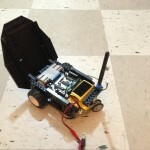 I built this little robot out of Lego this week (see picture.) 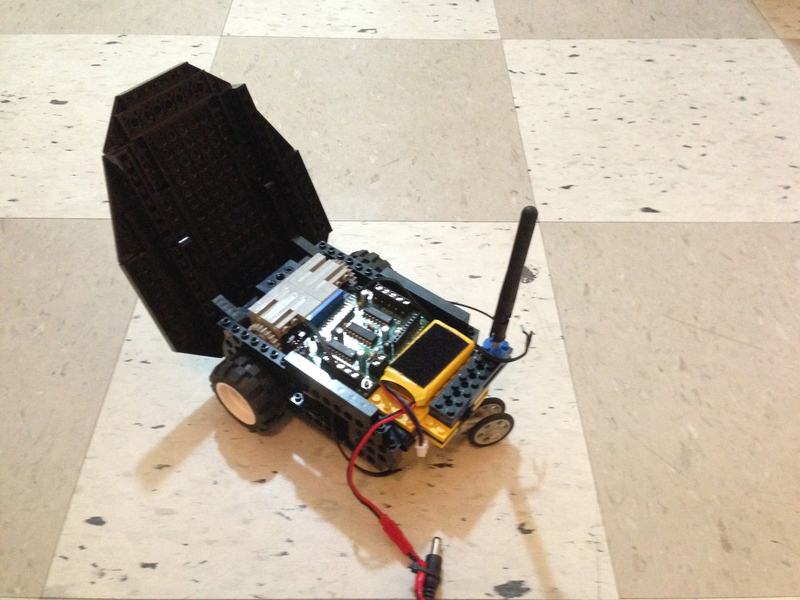 The electronics include an Arduino, a Sparkfun xBee shield, and an Adafruit motor shield. 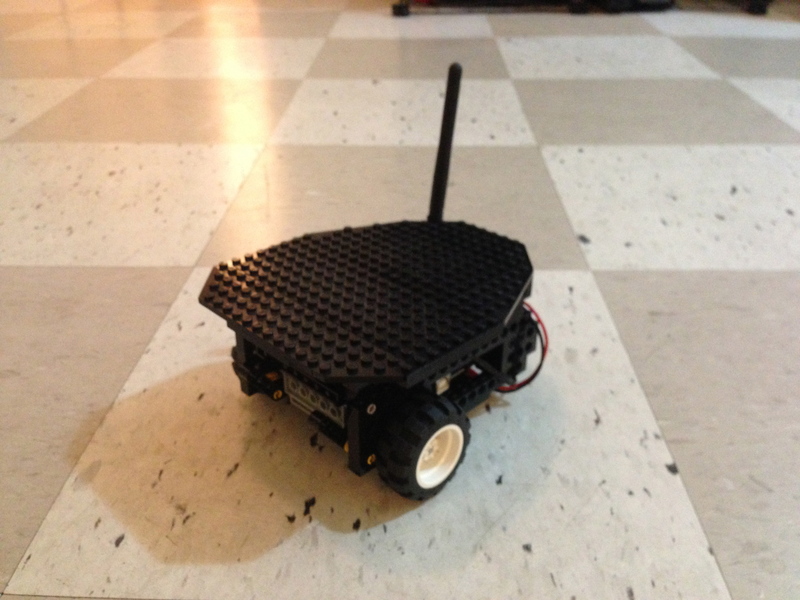 On the other side of the xBee shield is a linux box running ROS. With ROS I can generated velocity messages from my keyboard or with a Wiimote. These messages get sent to the Arduino which translates the commands into individual motor speeds. 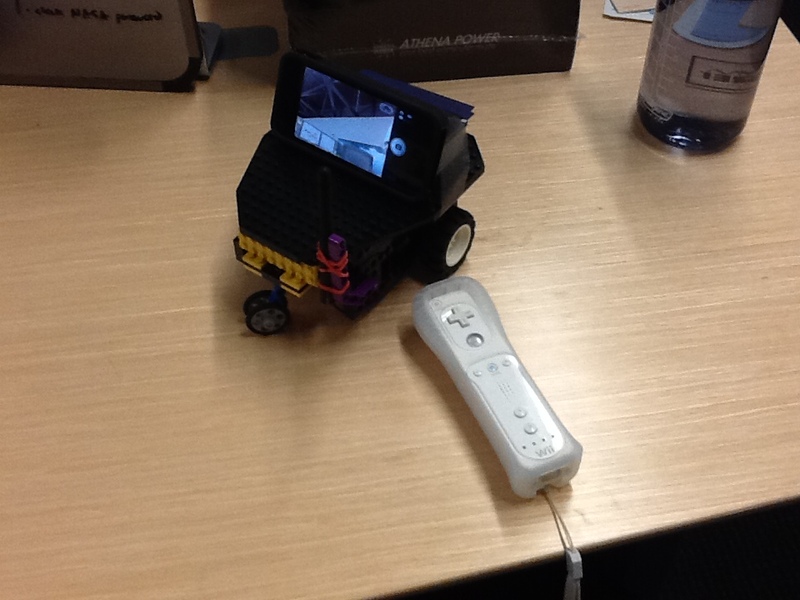 I brought the robot to work to show off today really wanted to stick a camera on the robot somehow so I could drive it remotely. 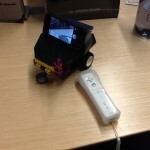 I finally ended up throwing my iPhone on the top of the robot and launching Skype. I called my desktop and presto, a teleoperated roboted. I completed a full loop around the upper floor of our building after hours. Yay, robot fun! Where can we see the video?! 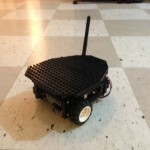 I just posted a video of my other robot moving around: http://www.youtube.com/watch?v=VeU_bgsergk.